Wednesday 4th July at either 10.30-11.30 a.m. or 2.00-3.00 pm. During the session we will have a fund-raising raffle and goat feed for sale. We will also have a donation bucket so any contribution would be very welcome. All monies raised will help towards the running of the farm. 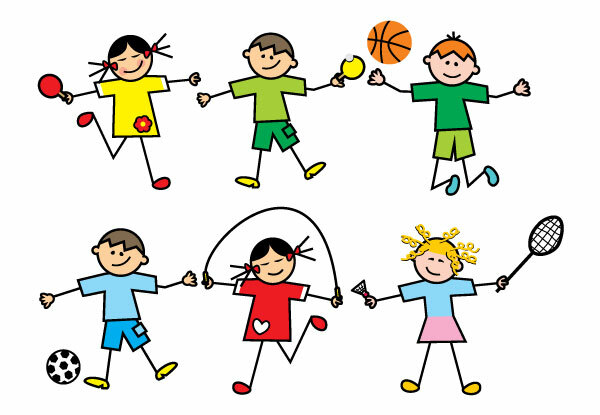 Reception are having their sports day on Thursday 5th July from 1.30pm on the back field. We are inviting parents to come and join us to show their support. Just a little reminder that you are invited to come and visit Mead farm on Tuesday 3rd July 2-3pm. Our farm is up and running and we are now ready to showcase this to you. We would like to invite you to visit the farm on Tuesday afternoon and see this wonderful environment. The session will start promptly at 2 o’clock and your child will be collected from class to share this opportunity with you. Alexis, Millie, Bogdan, Eva in Barbados, Lucas in Egypt, Amelia in Germany and Momina, Briana, Aleena,Tatiana and Lorraine in Canada have been working hard at home and extending their knowledge through their learning challenge work. These children have used a range of powerful vocabulary and techniques to become a Star Writer; Arjya in Jamaica, David in Barbados, Jessica in St. Lucia, Rianne in New Zealand, Daniel in Palau, Deimantas in Australia, Lennon in Madagascar, Anastasia in Egypt, Thai in Kenya, Ellie in N. Ireland, Kaylin in Wales, Magdalena in Scotland, Giovanna in Germany, Maryam in Greece, Ellis in Italy, Nadia in U.S.A, Joseph in Canada, Uzoma in Mexico, Rubie-Mae in Chile, Faiza in Brazil and Erin M. in Argentina. Look out for examples of their work on the blog! 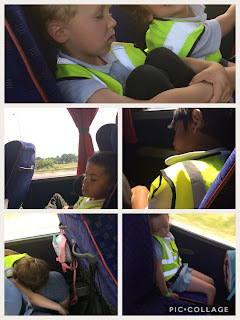 Vanesa in Wales, Carrie and Lily-May in Greece, Ryan and Joey in U.S.A and Jack in Mexico receive certificates for reciprocity and Aaliyah in Madagascar, Jacob in N. Ireland and Julie-Rose in Greece for reflectiveness. Well done to Rianne in New Zealand, Ayan in Madagascar, Sydney in N. Ireland and Isabelle and Amba in Germany who receive certificates for resilience and Tyrese in N. Ireland and Hektor in Canada who have shown they can be very resourceful in school. Silver Tracker certificates are awarded to -Riddhi and Nicole in New Zealand, Crystal and Kitt in Greece and Nadia in U.S.A. Well done to them! receive Gold Tracker certificates in recognition of the fantastic effort they have made in learning. Well done to Charlie in Mexico who has presented her work beautifully; She has shown pride in her work and taken care with her handwriting and number formation. Tristan in Jamaica, Lottie and Fareeda in Barbados, Lily and Alex in Australia, Anthony in Scotland, Amy in Italy and Rosie in Canada have achieved bronze reading awards for reading 25 books. Silver Reader awards go to Charleigh May in Jamaica, Harry in Australia, Kajus in Palau, Hayden in Egypt and Agata in Scotland who have read 50 books. They each receive a silver certificate and a £5 book token for their efforts. Ava in Palau has read 75 books and she gets a book of her choice for his fantastic effort. In recognition of their insatiable appetite for knowledge and ability to sniff out amazing facts the following children have been awarded certificates; Anmona and Asia in N. Ireland. 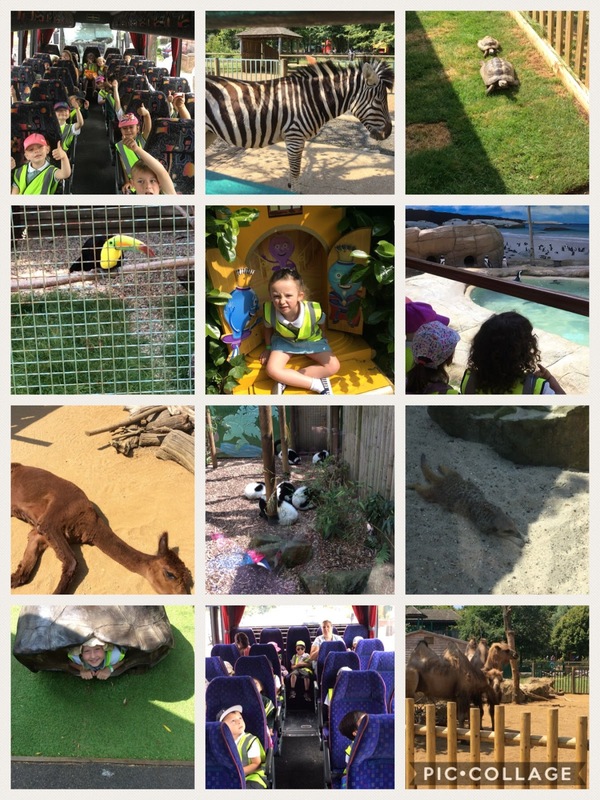 WOW, what a fantastic day for a trip to Paradise Wildlife Park. We had lots of excited children this morning as we set off on our short journey. 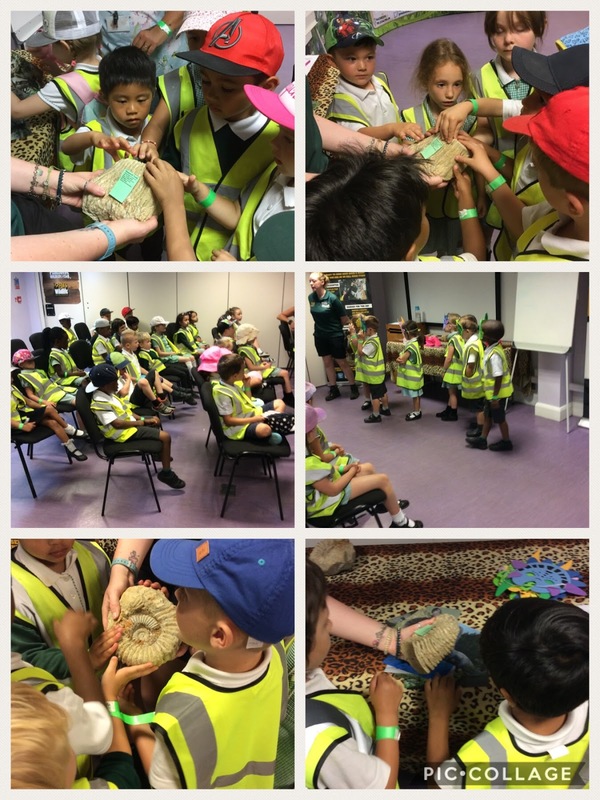 We began our day by exploring some of the animals inhabiting the park, “I love toucans” said Katherine, “I can’t wait to see the big cats” said Seb. 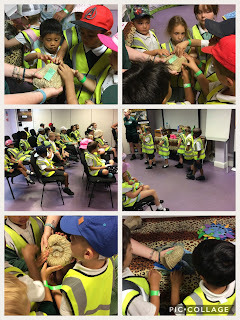 Then it was off for our ‘Life long ago’ talk, where we were taken back to the time of the dinosaurs and were shown some fossils from that time. “Look at the size of their teeth” said Daniel. We then took a pit stop tucking into our scrumptious sandwiches, fuelling before our next exploration. 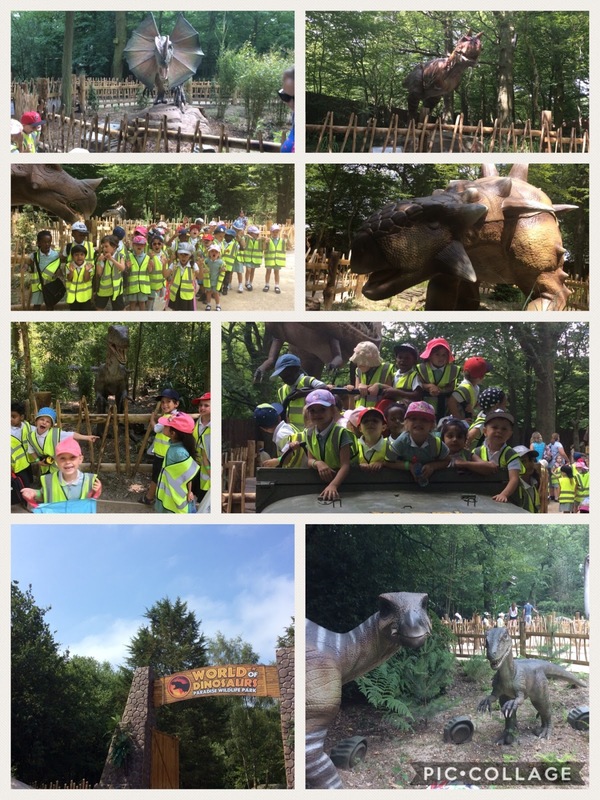 Our final stop was the ‘World of Dinosaurs’. The children were in awe as we walked around coming face to face with a Triceratops, T-Rex and Stegosaurus to name a few. “They look so real” said Eleni, “The dinosaurs are amazing” said Jake. We would also like to extend our apologies to you for our delayed return and thank you for your patience. 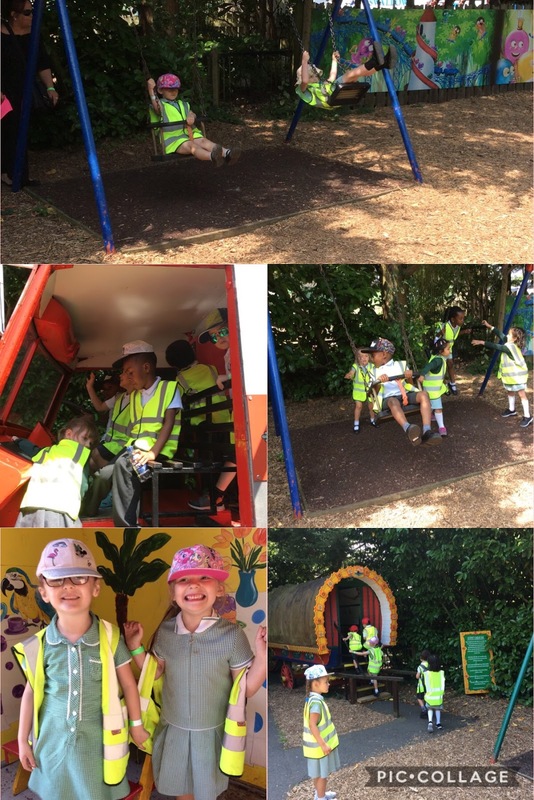 Year 2 at the Tower! Campfire Fun For Year 2 ! Our Last Year 2 Bingo!